In an industry battered by years of contraction and the collapse of the housing market, the need for increased efficiency and throughput in the planer mill has become more critical than ever before to each company’s survival. Miller Manufacturing, Inc. was founded to meet this need and has developed a product line targeting these bottlenecks. We can help you improve the flow of lumber through the planer, feed table and the bridge. This, in turn, helps you to produce more of your product at a lower unit cost. We have focused our years of combined experience on the design and manufacture of equipment and parts to meet the demands and expectations of the marketplace. 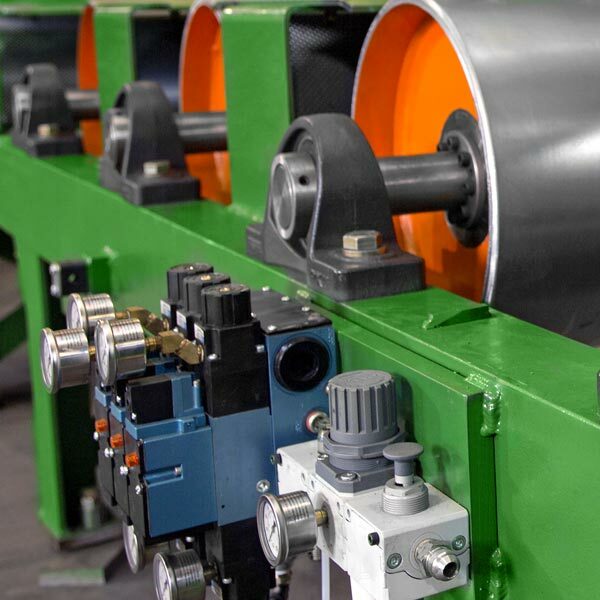 We offer state of the art planer and infeed systems for your mill and also offer a wide variety of replacement parts. 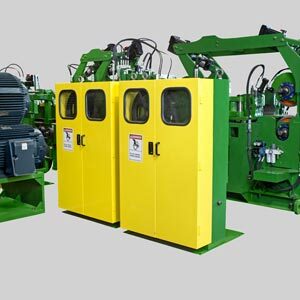 These include but are not limited to aggressive feed rolls, pineapple rolls, powered holddown assemblies, powered shears, roll tensioning systems, hydraulic elimination at all roll positions, TEFC motor conversions as well as electric servo motor positioning for your cutterheads. We can design and build electric drive units to replace any existing systems built to your specifications. Are you interested in attending our next planerman school? Please get a hold of Sandy Miller at 360-409-7789 or sandy@millermfginc.com to ask questions or put your name on the waitlist for the next one. Plans are to have one by end of year. Our equipment is designed to perform at a high level in the harshest environments with minimal maintenance or down time. To achieve this, we have developed product lines with simplistic designs and a high percentage of "off the shelf" replacement parts. Miller Manufacturing, Inc. invites you to contact us regarding any aspect of your equipment performance or quality issues. We are innovative problem solvers who would like to partner with you to improve your operation. Call us, we are looking forward to helping you. © 2019 Miller Manufacturing Inc. All Rights Reserved.